If you suddenly realise that you have put unleaded petrol in diesel tank, do not panic! Simply stop yourself from igniting the engine and call Wrong Fuel Angel to help you rectify your mistake. Read on to find out more information about the process. Putting petrol in a diesel engine is much more common than you would think, and it is certainly not something that you should feel bad about. With so many of us swapping cars amongst family or hiring rental cars for work, putting the wrong fuel in car is something that hundreds of people do each day. It is important to remember that as long as you act quickly, you will not do any long term damage to your car. 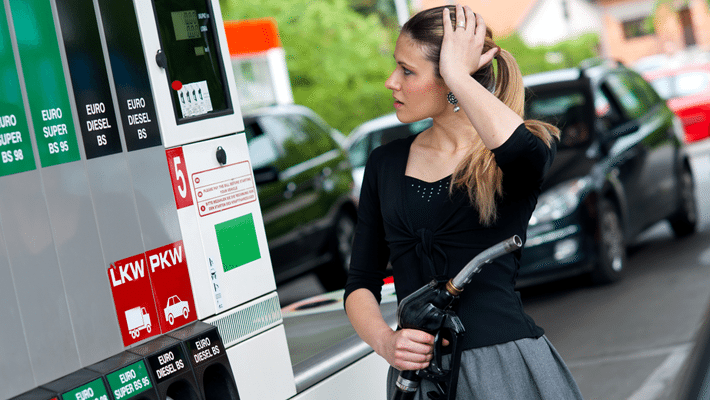 Why is putting unleaded petrol in diesel car so bad, you may be asking? Petrol engines work on much higher temperatures than diesel engines, so it will not lubricate the system as it should do. Sometimes, the fumes from the wrong fuel can send the car into distress, which is why we urge you to move quickly. Once you have realised your mistake, speak to the station. The assistant at the garage can help you push your car away to a free space while you make a call to us, Wrong Fuel Angels. If you have put unleaded petrol in a diesel tank, ensure that you do not switch on the engine, otherwise you will flood all areas of the engine with the wrong fuel. Left as it is, Wrong Fuel Angels can quickly clear your car of petrol and have the right fuel in your car in no time. Our specialist roadside assistance will ensure that your car is ready to hit the road before you drive away. They will do this by turning on the engine and checking that all is acting the way it should be after the clear out. A common problem when putting the wrong fuel in car is the creation of air bubbles. They can occur when extracting petrol from diesel car, so always rely on an expert to do the job. If you have realised that you have put the wrong fuel in car, pull over where it is safe for you to exit your car. Turn the car off completely and give us a call so that we can come and assist you. Due to the greater problems that your car will experience in this instance, we may need to tow your car to your home address or a local address of your choice. Our technicians will aim to get your car fixed as soon as possible, and generally 45 minutes is enough time for us to complete the job. The cost of this will depend on the make of your car and the engine. But we can assure you that we have your best interests at heart when it comes to providing the best value for money.